Cavalor SoleMate neemt de leiding in een betere, natuurlijke verzorging van de hoeven. De pasta verbetert kwaliteit van de hoeven en bevordert de hoefvorming bij uw paard. 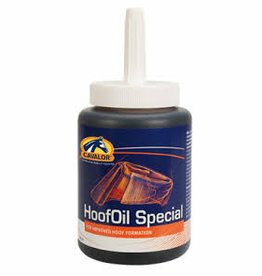 Cavalor HoofOil Special helps improve hoof quality and promote hoof growth in horses. 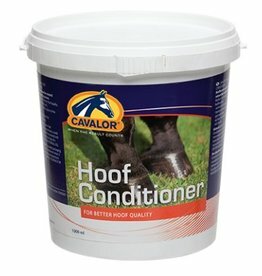 Cavalor Hoof Conditioner is a hoof balm with essential greases for the support and maintenance of healthy hooves in horses. Hoof Aid Special is a nutritional supplement specially developed to improve and increase the quality of your horse's hooves. Cavalor Hoof Aid helps maintain and strengthen your horse's hooves. Cavalor Hoof Aid can also be used preventively to maintain proper hoof quality. 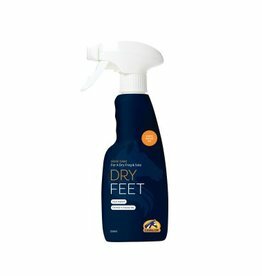 Cavalor Dry Feet is a spray that has been specially designed for use on horse's hooves and frogs to help in the prevention and treatment of thrush.